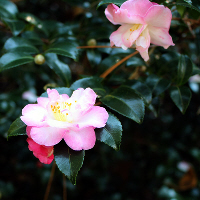 A special attraction of the K. Sawada Winter Garden at the Mobile Botanical Gardens is its rare and significant collection of camellias developed by the region's renowned local growers. 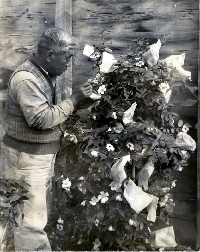 None were greater than Kosaku Sawada who famously grew a chest of seeds sent from Japan by his wife's family (as her dowry) to produce a series of cultivars that changed American camellia history. Sawada's introductions, plus hundreds more, are on display amid a 100-acre site of gardens and longleaf pines in an unusual coastal highlands setting that once was the home of historic camellia nurseries such as Longview, Overlook and Spring Hill nearby. 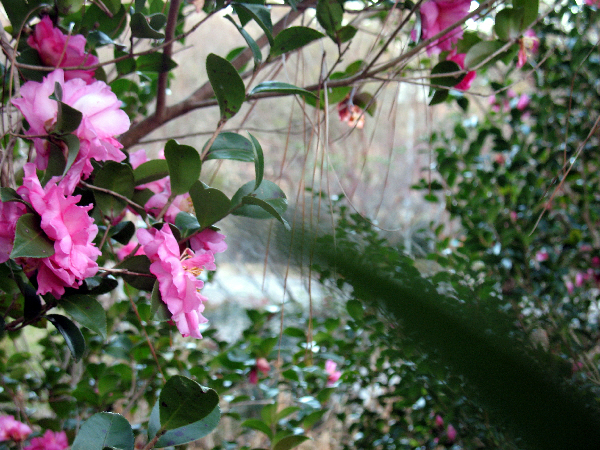 The five-acre WinterGarden contains many decades-old tree sized camellias plus recent additions that represent the most outstanding cultivars of the last 50 years. They are well-labeled and displayed beside garden pathways along with native azaleas, viburnum, winter-blooming bulbs and perennials. The collection is continually supplemented and tended by volunteer gardeners from among the 500-plus members of Mobile's two active camellia clubs. The garden also contains numerous specimens of Hall of Fame varieties, so designated by the American Camellia Society for their enduring beauty and garden value. 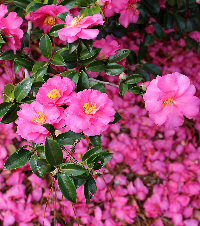 This garden is a living monument to the region's great legacy of camellia nurserymen and growers such as Sawada, Rubel, Kiyono, Dodd, Bellingrath, Rubel, Green, Drinkard, Bower, Jarvis and others. In some cases, their original plants are here. The warm humid climate of the northern Gulf of Mexico region at Latitude 31 (roughly parallel to Interstate 10) is very favorable to outdoor growth of more tender specimens of retic hybrids and new camellia species, which are well represented here. All of these are integrated with other diverse plant collections, including hollies, japanese maples, crape myrtles and one of the world's largest collections of azalea hybrids - many of which were developed in the Mobile area.